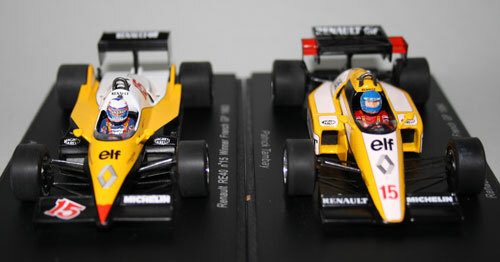 Spark’s classic F1 models generally have better fine detail than their Minichamps counterparts. 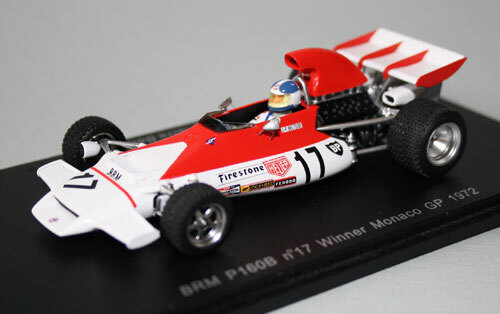 They also usually include the tobacco decals for the collector to apply to complete the decoration of the model and make it historically correct. This saves having to source aftermarket decals. 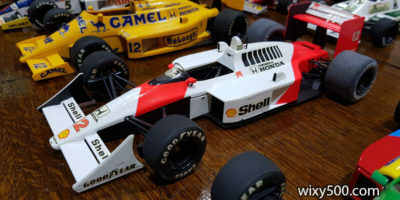 Here are a few before and after shots of some Spark F1 models I purchased a while back (and only recently got to do the tobacco conversion!). As usual with Spark, the waterslide decals are excellent quality and apply well. I hope to show off more of these conversions in the following weeks/months. WARNING: Viewing of the following images might cause you to uncontrollably and against your will smoke a cigarette! 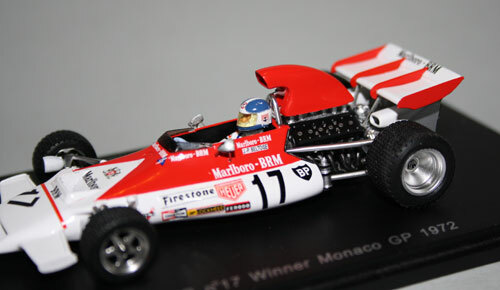 Above & Below: 1972 Monaco winner, Jean-Pierre Beltoise’s Marlboro-backed BRM P160B, with rain tyres. 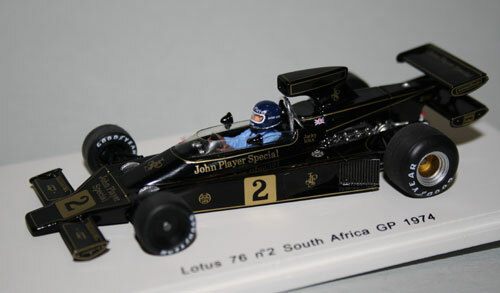 The Lotus 76 initially raced with this long, tapered engine cover and double rear wing before it was discarded in favour of a more conventional setup (also modelled by Spark, HERE). 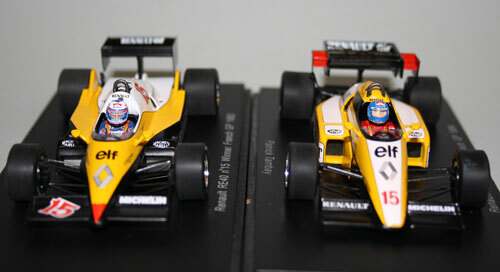 Above & Below: Renault RE40 (Alain Prost, 1983 left) and RE50 (Patrick Tambay, 1984 right). 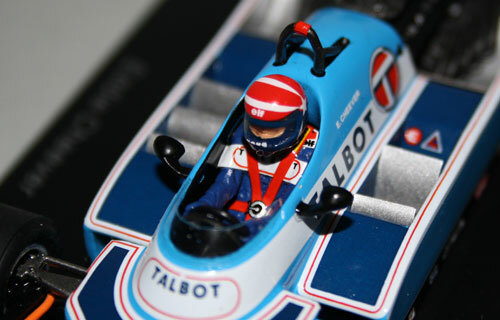 These drivers were personally sponsored by Marlboro, so Spark provided the miniature decals for on their helmets. 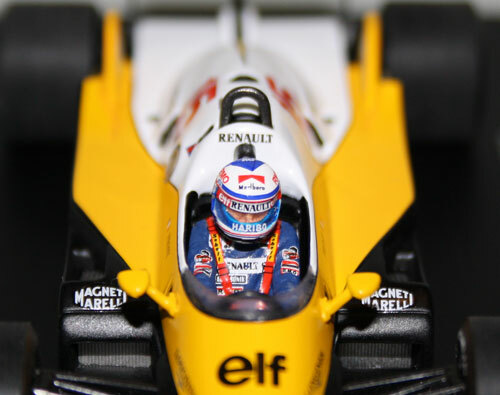 Remember, this is 1/43 scale, and the photo is heavily zoomed. With the naked eye, you can hardly read the fine writing on the helmet anyway! 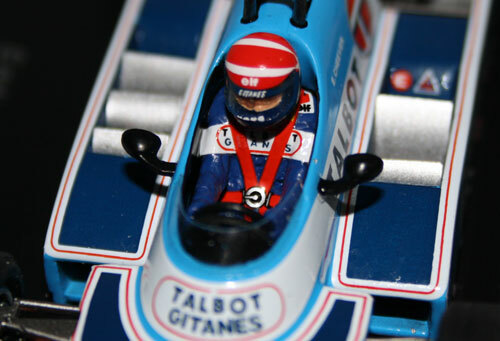 Above & Below: Ligier JS17 that was run in the first part of 1982. 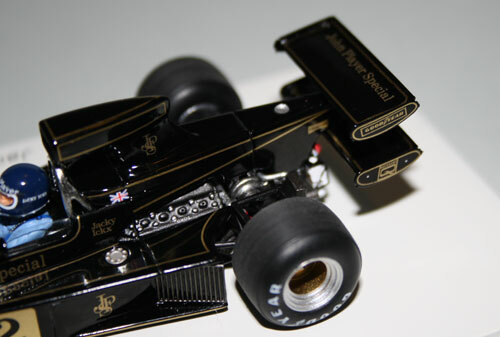 This is the car driven by Eddie Cheever at the Detroit GP where it raced without the engine cover to help with cooling. 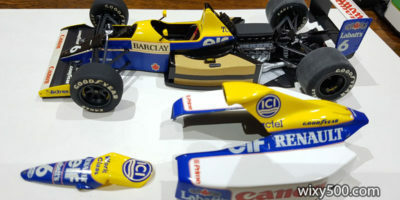 Above & Below: As per the Renaults, Spark provide the relevant missing bits for the driver helmet, and in the case of this Ligier, ALSO the race suit where parts of the logo were visible from under the seat belts.